We are excited to announce that Soccer Assist client Hafiz Sheikh has secured a place and committed to the Middle Georgia State University on a partial scholarship. Born in Ilford, the former University of Science and Arts of Oklahoma (USAO) star will be lacing his boots for the MGA Knights this fall. Hafiz tells us that he first started playing football when he was 12 as a goalkeeper. After switching to an outfield role, Hafiz moved steadily up the divisions and began playing at a semi-pro level. He earned a scholarship to play college soccer at USAO before deciding a transfer to another college was critical to his player development. When speaking about his playing style, Hafiz is best described as a box-to-box central midfielder. MGA Knights’ assistant coach, Allen Luton, is thrilled to have Hafiz on board and is excited for him to start playing in the NAIA division. Allen told Soccer Assist that he thinks “Hafiz can come in and play a big part.” Hafiz is heading to Georgia this August to start his scholarship journey. 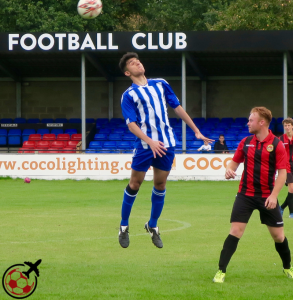 Hafiz contacted us after his freshman year as he wanted a transfer from his previous American college so that he could fulfill his playing ambitions. 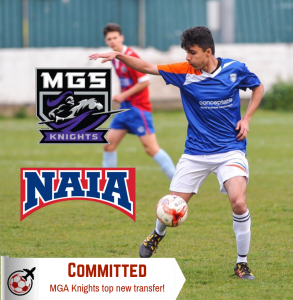 Soccer Assist assessed his highlight tapes and got him in contact with the MGA Knights – he hasn’t looked back since. Soccer Assist Director Junior, after working with him to achieve his ambitions of more playing time, stated that he is “really pleased that Hafiz has a new college to call home in the U.S.“ We want to wish Hafiz all the best during his time at Middle Georgia State University and we look forward to seeing what he can achieve next.